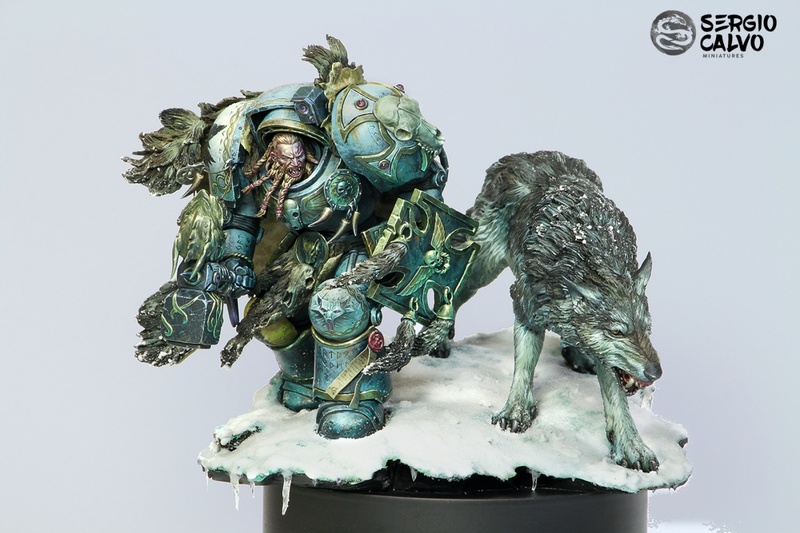 I've so glad to show you my entry for Crystal Brush 2017, the miniature was designed by the Master Paul Bonner , Sculpted by the talented Joaquin Palacios, and painted by me , Sergio Calvo. 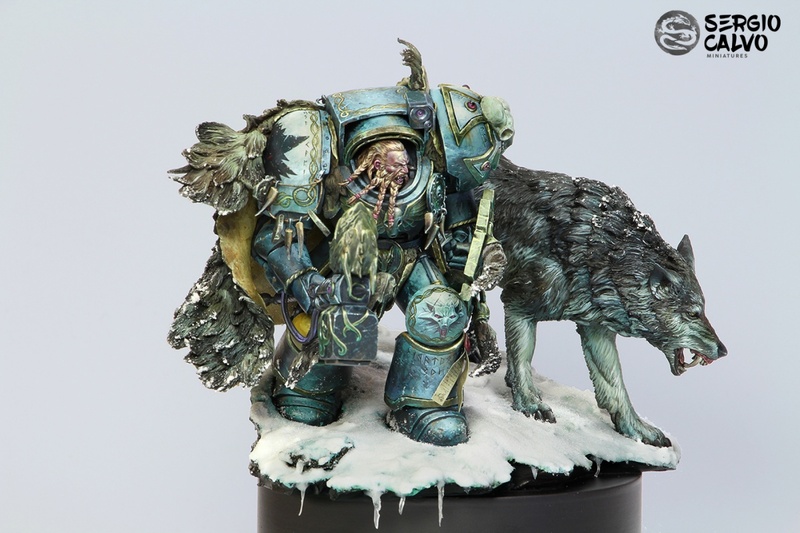 This project was one of my little babies, I enjoyed a lot with this one and I expressed my own point of view on the miniature world, we won the Best of show at Crystal Brush 2017 I hope you love it and enjoy wacthing my art on this Space wolf!! a pure beauty even for a historical painter like myself ! Best acBwinning piece ever!!! That’s what I feel , what I believe and what I’ll firmly stand by until the end of my life!!! Color composition, details, ambient, simply an amazing piece. Gold! One can never get tired of looking deeper into the painting of this piece. Bravo Sergio. One of my personal favourites of all time. Para mi tu segunda mejor mini. muy merecido. era la mejor del evento y una de las piezas mas impactantes de los ultimos años en concursos. la pintura es genial en todos los aspectos, pincelada muy estetica, juegos tonales muy bonitos e interesantes y una muy buena interpretacion de los volumenes. 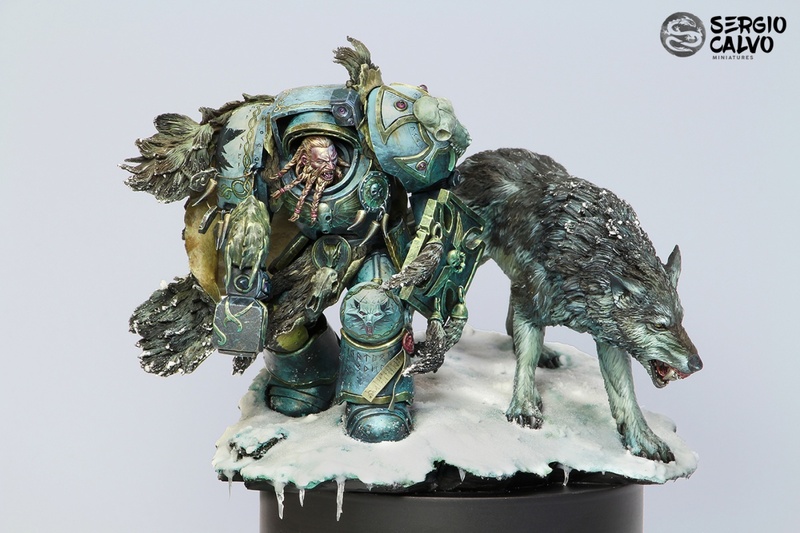 ahora.. ¿Paul Bonner diseñador de esa mini?..imagino que quieres decir que vuestra mini se basa en una ilustracion de paul bonner que tiene 15 años.. esa ilustracion es un clasico, pero no se realizo para esta miniatura.los matices en las palabras son importantes a veces. bueno. En conclusion, un trabajazo. una masterpiece por la que se te recordara en unos años. This is just perfection. Would love to see it in real one day. Wow. Epic work! I can spend time looking at the pictures of this fantastic work of yours and always feel inspired! Congrats and look forward to seeing your new work for CB this year. Really sad that there is no cast avaible. 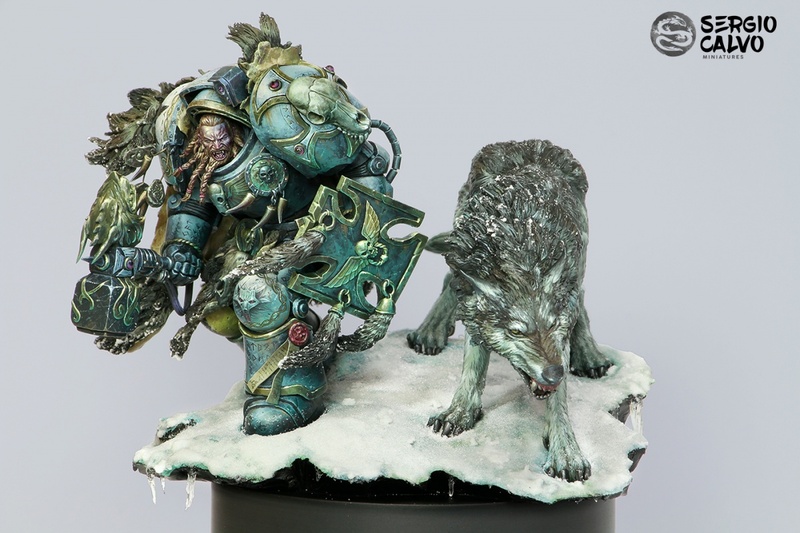 But for some sculps also good because it makes some works so much more EPIC like this.